Export sales and cross-border transactions are an integral part of doing business. Choosing the best possible credit terms and trade finance package while assuming a reasonable amount of risk is essential to maintaining a competitive advantage in international trade. The program will provide you with an overview of the ins and outs of managing export receivables, credit policy & procedures, the various sources of information for evaluating and analyzing customer and country risks, payment terms, techniques for financing and mitigating risk for the sale of goods and services to foreign customers and much more. Eugene (Gene) Perry is presently a Credit and Collection Consultant for Genesys, a company that sells both cloud-based and on-premise software technology to mid and large business worldwide. 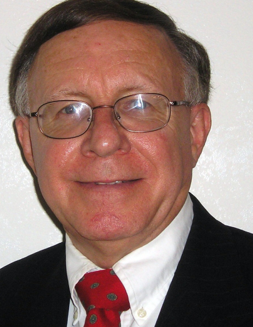 Gene has more than 40 years of global experience in domestic and international credit management. Before consulting for Genesys, he was the Director of Credit for Cooper Industries (now part of Eaton Corporation), Pennzoil Company (now part of Royal Dutch Shell) and GAF Corporation (now part of Ashland Oil Company). In 1980-1981, he served a two-year assignment in Europe. Gene is the author of Practical Export Trade Finance, a reference for international and finance professionals. He was a frequent lecturer at Baylor University and a long-standing member of ICTF for over 35 years who has served on its board, advisory council and presenter at conferences.